At Kingston & Knight Audit, we provide services for audit of financial statements Melbourne that are tailored to the client, their industry, and their circumstances. Our Melbourne auditors work closely with the client to ensure that their financial statements are received, reviewed, and audited in-line with their compliance obligations. By creating an audit plan prior to commencement of the financial statements audit and/or review process, you are given a timeframe prior to making your commitment to engage us. Once we get to know your organisation and have established an audit plan, we review and audit your financial statements to identify any material misstatements, omissions, or unacceptable risks in your financial position. Your audit of financial statements Melbourne is not only an assurance measure for stakeholders, it is a powerful tool for the organisation’s management to use in improving internal control processes. Your audit committee will be kept well abreast of the relevant developments during the audit process. This close communication is vital, seeing as the need for additional information or documentation may arise during the audit process. Kingston & Knight Audit’s audit of financial statements Melbourne function reflects the requirements of the Auditing and Assurance Standards Board. This ensures that the audit and review of your financial statements are conducted to the highest standard of quality, enabling reasonable assurance to be derived from the resulting report. Our audit of financial statements Melbourne methodology is based on over 40 years’ collective experience in the financial services industry here in Melbourne. Our audit of financial statements Melbourne capability has grown over time and in response to developments in both domestic and international auditing standards. Why Choose Kingston & Knight Audit? There are a number of reasons to choose Kingston & Knight Audit when seeking audit of financial statements Melbourne services that are reliable and effective. Our dynamic approach to professional financial practice ensures that the competitiveness of our audit and assurance services remains a key concern for Kingston & Knight Audit. We continually strive to provide the best value and reliability to the clients we serve, whether small or large, individuals or organisations. In recent years, many measures have been taken by both regulators and industry bodies to standardise and improve the quality of financial statement audit services in Australia. We support these efforts, as we understand that they are designed to ensure that our clients receive the best assurance services possible. By reflecting the standard of quality expected of all financial statement auditors in Australia, we are free to improve our own methods of maintaining these standards to offer you a more competitive service. Kingston & Knight Audit employs a host of modern accounting and financial software tools to assist in the streamlining and standardising of our financial statements audit function. This allows us to pass on many of the benefits associated with increased efficiency to our clients. An important and noteworthy result of the recent overhauls to Australia’s audit and assurance services framework is improved choice and more competitive pricing for clients. There are now many more auditors and assurance practitioners practising in Melbourne, and across Australia, than ever before. However, unlike in the past, all these practitioners must adhere to the same standards and quality of service in order to deliver the assurance and compliance their clients require. This increased competition among financial services providers, particularly with regard to audit and assurance services, puts clients in the position to choose the right service for them. We encourage you to consider this fact when deciding on who to engage for your audit of financial statements Melbourne requirements. Kingston & Knight Audit is aware of the overall conditions affecting audit and assurance services in Melbourne and Australia, and therefore understands the importance of competitive pricing and outstanding customer service. It is this that makes Kingston & Knight Audit the natural choice for your audit of financial statements Melbourne requirements. On the remainder of this page we will explore the various components and processes that comprise the standardised audit of financial statements procedure. This will provide the client with more information regarding the services they are seeking, and will hopefully enable them to gain insight into the importance of engaging Melbourne auditors with the relevant knowledge and experience. The phrase ‘audit and assurance’ refers to the process of delivering independent, objective, and reliable information to stakeholders regarding the financial information of a relevant entity. Audit and assurance processes serve different purposes in different circumstances, but broadly the purpose of this process is to enable stakeholders to form a fair assessment of the entity, its performance, and its management. Audits and reviews of financial statements are a compliance requirement for some types of entity. For example, listed companies and incorporated associations are required to undertake audit and review processes each year. The reason for this is that stakeholders, such as shareholders or association members, are functionally separate to the organisation’s management and control processes. Therefore, in order to ensure (or, gain assurance) that the information contained in the organisation’s financial statements is credible, an expert, independent third party analysis is required. This enables stakeholders to make informed decisions regarding their interests in the organisation. As these decisions are informed by financial information, the financial expertise of the independent auditor and reviewer is vital to the delivery of assurance. A professional who performs assurance services is referred to as an assurance practitioner. For example, Kingston & Knight Audit is a team of qualified, experienced Melbourne assurance practitioners. Assurance can be provided in a number of ways, but the most standard and rigorous assurance tool is the auditor’s report. Our audit of financial statements Melbourne services provide an auditor’s report that represents a conclusion, based on professional practice and expert knowledge, regarding the level of confidence that may be placed in the information represented in financial statements or reports. For an in-depth view of the audit and assurance process as it applied to listed companies in Australia, this CPA Australia factsheet is a useful reference. In-line with the expected standards and procedures involved in the provision of assurance services, one of three ‘types’ of assurance used in to inform stakeholder decisions. The type of assurance available depends on the level of gathering, testing, and analysis used to support the accompanying conclusion. An audit of financial statements Melbourne is able to provide the highest level of assurance, referred to as ‘reasonable assurance’. Reasonable assurance is actually a high level of assurance and is the expected standard for informing stakeholder decisions and ensuring compliance with regulations. Bear in mind that reasonable assurance is not the same as a guarantee, which would be referred to as absolute assurance. This is because obtaining a guarantee from an audit of financial statements is impossible, as the auditor could not reasonably audit each transaction and financial action made by the entity. Additionally, financial statements and reports often use estimates, or judgements, which are unable to be discretely verified or objectively determined due to being dependant on future occurrences. An audit of financial statements is an engagement where an independent auditor conducts an in-depth analysis and investigation of an entity’s financial statements. The purpose of this engagement is to deliver reasonable assurance to stakeholders, where possible, about the fairness and truth of the financial statements and their compliance with accounting standards and regulations. 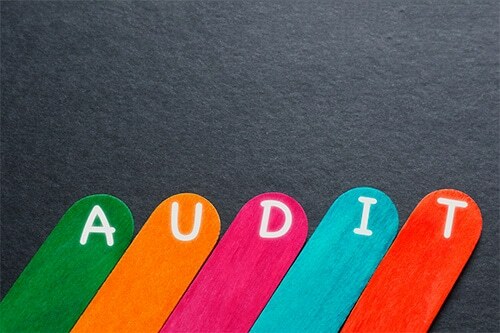 Though audit requirements are subject to change, and differ for different types of entity, the most common audit of financial statements is an engagement between an auditor and a listed company. In Australia, listed companies are legally required to appoint an independent auditor to perform an audit of financial statements for their full-year financial reports. Not-for-profit entities, non-listed companies of a certain size, and some charities are other examples of entities that face a legal requirement to undertake audit of financial statements. It is important to consider the difference between internal and external auditing with regard to the audit of financial statements. Internal audits are a different form of assurance procedure, conducted by personnel working for/within the entity being audited and operating under management of the entity’s control process. Internal auditing is an important process, as it is used to maintain effective internal control and risk management practices. External audits are those performed by an independent auditor who is not operating under the management of the entity. External audits are conducted by professional assurance practitioners, often appointed by an entity in order to conduct the required audit of financial statements. Auditor’s reports are an important part of the financial reporting process, and in order to be used, such reports relating to financial statement audits must be from an external, independent, approved auditor. Australian listed companies are required to have their half-yearly financial reports reviewed by the same independent auditor engaged for the full-year audit of financial statements. The review process may assist in the compilation and preparation of financial statements to be audited in the final audit of financial statements. A review of financial statements is a limited assurance procedure; the reviewer’s conclusion may be used to inform users of the financial statements about their truth and fairness as well as compliance with financial reporting standards. Following the completion of the audit of financial statements, the appointed auditor is required to provide the entity with an auditor’s report. The auditor’s report is the formal document outlining the auditor’s conclusion regarding the content of the financial statements and other important information for assurance purposes. Especially with regard to the audit of financial statements for listed companies, there are two key ‘types’ of auditor’s report. These types differ in the conclusion they contain, and their explanation of the auditor’s opinion relating to the entity’s financial statements. The two ‘types’ of auditor’s report are ‘unmodified auditor’s report’ (also called ‘clean’ or ‘unqualified’ auditor’s report), and ‘modified auditor’s report’. Due to the use of standardised audit procedures, including standards for the provision of auditor’s reports, a standard template or design is usually used in the preparation of an auditor’s report. If the report has not been modified to include additional wording besides what is required for compliant financial statements, then it is an unmodified report. An unmodified auditor’s report generally indicates that the financial statements auditor did not become aware of evidence suggesting the financial statements suggest anything other than a fair and truthful depiction of the entity’s financial position. As a result, the report simply contains the required conclusions and opinions, with no additional wording relating to specific matters that might affect the auditor’s conclusion. In some cases, the auditor may include another matter or emphasis of matter section in their auditor’s report. It is important to note that this does not indicate an adverse opinion or conclusion. These sections may be included to draw readers’ attention to matters that the auditor deemed important or particularly relevant. For example, an emphasis of matter paragraph may inform readers that in the auditor’s opinion, the entity is unlikely to be able to continue as a going concern based on information contained in the financial statements. Thought the financial statements offer a fair, truthful depiction of the entity’s financial position, the auditor may deem the implications of this depiction to be worthy of emphasis. In the event that the auditor believes the relevant financial statements include a ‘material misstatement/s’, or if the auditor cannot form an opinion due to lack of evidence, a modified auditor’s report is issued. A material misstatement, with regard to the audit of financial statements, is a misstatement identified by the auditor within the financial statements that in their opinion is significant enough to compromise the decision-making capacity of those using the financial statements. When conducting an audit of financial statements, the appointed auditor does not need to include in their report any and all misstatements, just material misstatements (misstatements significant enough to affect the use of the financial statements as a whole). Material misstatements may be qualitative or quantitative in their deviation from evidence identified by the auditor. A qualitative material misstatement, for example, may be the failure to disclose certain transactions or other financial activity or failing to do so properly. A quantitative material misstatement would be a misstatement of dollar amounts or other key figures included in the financial statements. Examples of quantitative material misstatements could include not recording total liability, overstatement of revenue, and understatement of expenses in the financial statements. Modified auditor’s reports are so named due to the fact that they include additional paragraphs or sections compared to an unmodified auditor’s report. This is because the appointed auditor is required to provide an explanation of what led them to arrive at the relevant opinion or conclusion. In order to tell if an auditor’s report is modified or unmodified, simply check the opinion section of the report. This is the part of the report where the auditor includes a signed statement of their conclusion in relation to the financial statements. In an unmodified auditor’s report, this section will simply say that the auditor believes the statements offer a true and fair depiction and were prepared in-line with prescribed standards. If the report is modified, the opinion section will be titled either qualified opinion, disclaimer of opinion, or adverse opinion. The following sections explain the different types of opinion that may accompany a modified auditor’s report. Also known as except for opinion, a qualified opinion asserts that in general, the financial statements are fair and truthful in their depiction of the entity’s financial position, and have been prepared in compliance with standards, except for a specific component or component/s within the financial statements. If the auditor identifies a material misstatement in a specific section of the financial statements, i.e. the misstatement is not repeated throughout the statements and indicative of improper accounting practices, a qualified opinion may be issued. Qualified opinion may also be issued where the auditor was unable to access specific information or evidence needed to verify a specific statement within the financial statements, but overall the statements are verified and true. In a modified auditor’s report where a qualified opinion is issued, the relevant matters will be explained in a separate paragraph. If the auditor is unable to come to a conclusion regarding the fairness and truthfulness of the financial statements, a disclaimer of opinion is issued. This most commonly occurs where the auditor cannot access the information they require to investigate matters disclosed in the financial statements, or where adequate evidence does not exist. For example, if key information or evidence is lost or damaged, the auditor will issue a disclaimer of opinion. This is not an adverse opinion, it is merely a statement by the auditor that sufficient evidence cannot be provided to verify the information disclosed in the financial statements. An adverse opinion is issued as part of a modified auditor’s report that contains evidence to suggest the financial statements do not truthfully and fairly depict the financial position of the entity. This would also likely result in the conclusion that the financial statements are not compiled and prepared in-line with the prescribed standards. The material misstatements or failures to adhere to accounting standards must be pervasive enough to render the financial statements useless for assurance purposes in order for an adverse opinion to be issued. In this case, the auditor would describe the process by which they came to the adverse opinion regarding the financial statements in a separate paragraph. Incorporated associations may operate as businesses, not-for-profits, government organisations, community groups etc. Due to their independent legal status, incorporated associations are required to lodge an annual statement of finances. Arranged into three tiers according to their total revenue, tier 2 and 3 incorporated associations are subject to an annual audit and review of financial statements requirement. The compilation of financial statements is bound by the same criteria for incorporated associations in all tiers. For the purpose of preparing financial statements and submitting documentation for the audit of financial statements, financial records must be kept to explain the incorporation’s financial position, transactions, and performance. Record keeping must always allow for the preparation of financial statements that represent a true and fair depiction of the entity’s financial position. As mentioned previously, incorporated associations in all tiers must keep records that enable the preparation of financial statements that are usable in an audit of financial statements Melbourne. Financial statements must be prepared as soon as possible following the end of the financial year. The prepared financial statements need to be presented to the association’s members at the AGM, to be held within five months of the financial year’s end. These financial statements, including signed declarations from the association’s committee members, must then be lodged with Consumer Affairs Victoria within a month of the AGM date. Detailed information on what must be contained in the prepared financial statements for incorporated associations can be found on this Consumer Affairs Victoria fact sheet. Incorporated associations classed as tier 2 or tier 3 by CAV are subject to public inspection of their financial statements following lodgement with CAV. Tier 2 associations are required to have their financial statements reviewed by an approved assurance practitioner in-line with the Auditing Standards on Review Engagements. Tier 2 incorporated associations need only have their financial statements audited by an external, independent auditor if this a rule stated in the association’s constitution. If this rule applies, then the above information about review of financial statements need not apply. Be employed by the incorporated association as an employee. As required by the auditing standards, the appointed auditor must be a registered company auditor with ASIC and hold peak-body certification. When you contact Kingston & Knight Audit about the obligations of your incorporated association, we take the time to understand your circumstances during our free initial telephone consultation. If it is coming up to your first end of financial year, you may require advice on how to appropriately compile and prepare your financial statements for lodgement. Our Melbourne auditors can provide this advice, thanks to our expertise in analysing financial statements to ensure their compliance with prescribed standards. If you are a tier 3 incorporated association, we can complete the audit of financial statements as required by Consumer Affairs Victoria. An auditor’s report will be provided when complete your audit of financial statements. If you need advice about your audit of financial statements Melbourne requirements, or other matters relating to audit and review of financial statements, contact Kingston & Knight Audit on 1800 283 471 or via email at audit@kingstonknight.com.au.